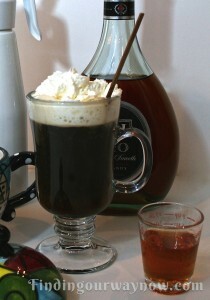 Who doesn’t love a great cup of coffee, especially this spirited original Irish Coffee version. As always, this original Irish Coffee recipe is not hard to make. In fact, it’s as simple as it gets. This beverage is especially nice on a cold night with a fire in the fireplace shared with a few good friends. It is the fastest way I know to add a bit of cheer at any time. Warm a thick footed glass mug in the toaster oven or with very hot tap water. Prepare your coffee and pour it into the warmed mug until it’s about ¾ full. Add the brown sugar and stir until completely dissolved. Then add a good Irish whiskey of your choice and stir again until blended. Top with sweetened whipped cream. Serve immediately. 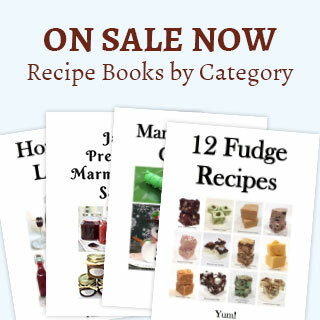 Notes: Obviously you can make more than one serving. The amount you make is entirely up to the number of guests you have or how many you’d like to have, :-). To me, it seems fitting to serve this in a tall footed mug, but any 8 oz mug will do. A good strong coffee is best to help stand up to the Irish whiskey. The coffee you use may be decaffeinated if you wish. A good Irish whiskey is preferred, but you can use what you like best. This original Irish Coffee is a recipe seems to have been around forever. It’s one of those recipes that is always good to have on hand when you’re looking for something warm that can give you some instant cheer when all else seems to fail. So make some strong coffee, add a little cheer, a bit of sugar and some whipped cream and share a few good laughs with your family and friends. You deserve it. Enjoy. 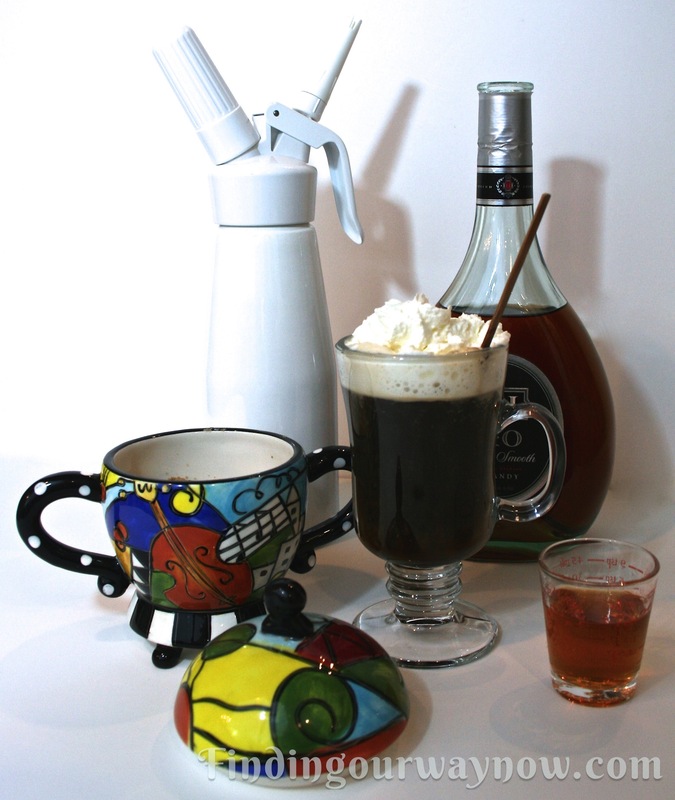 If you liked this original Irish Coffee, then you might want to check some of my other recipes such as these Homemade Mulled Wine, Making a Good Cup Of Coffee and Bloody Mary Recipe. Enjoy.